If you are interested in ordering both the eBook and the printed copy, below are some discount codes for you. Also, if you already ordered one and want the other, refer to the codes below. 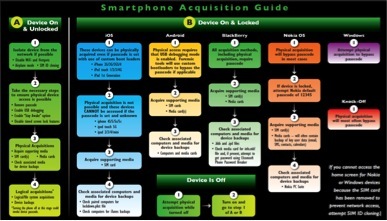 Also, if customers order the book from our website (https://www.packtpub.com/application-development/practical-mobile-forensics) they can order the print and e-book together for the price of the print book ($59.99). 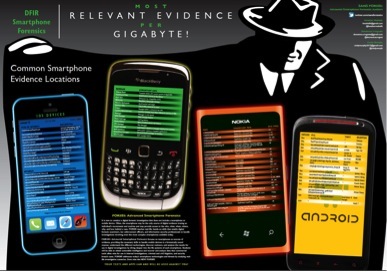 If you missed the NIST Mobile Device Forensics Workshop a few weeks ago, you can find the presentations here: http://www.nist.gov/forensics/mobile_forensics2.cfm. Make sure to read about Open Source Mobile Device Forensics using Autopsy and scripts developed by the community, presented by yours truly. Other great presentations were provided by Cindy Murphy on Mobile Malware and Shafik Punja on the state of BlackBerry Forensics. 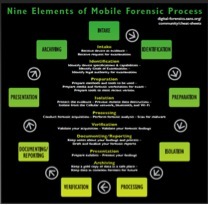 There are several presentations that are fit for those breaking into Mobile Device Forensics included in the link above. For your convenience, I have downloaded and included a few of my favorites in the Presentations Page on my site. Where should I focus my smartphone research? Hello everyone! I hope you are getting ready to celebrate and enjoy the extra day off this week and the 4th of July if you are in the USA. Now that my book is done, I am left wondering what to do with my extra time (because what new mom doesn’t have plenty of extra time). I plan to focus on the latest version of Android and iOS 8, but what else is out there that needs to be answered? Are you wanting more information on one platform, an overall OS? What do you want to see more of in regards to manual decoding? What are your tools missing? “Help me, help you!” Yep – Jerry Maguire quote for you on this lovely Thursday morning. Thoughts?